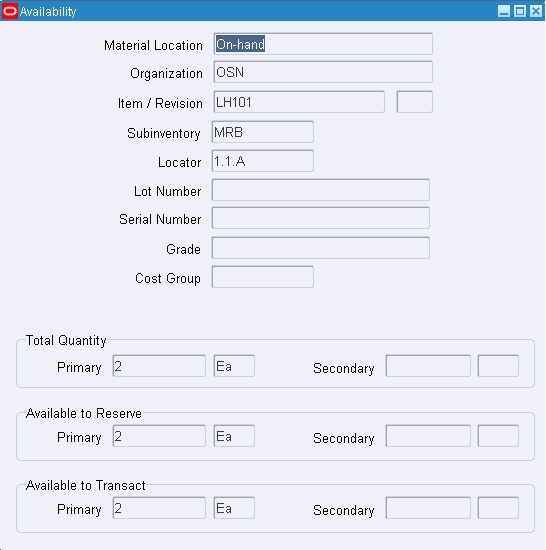 Subinventory Transfer transactions are used in Oracle Inventory to move material from one subinventory to another. If either or both subinventories are locator controlled then the movement has to be from a subinventory/locator to the destination subinventory/locator. The example taken in this section will illuminate this point. 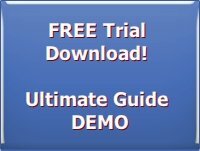 FREE Trial Downloads of The Ultimate Guide! The Trial version of the DEMO is valid for 3 launches. The Trial version of the TRAINING is valid for 7 days. The Ultimate Guide to an R12 Inventory Org is here! 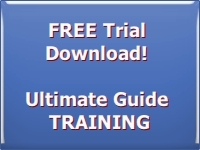 The Ultimate Guide is the Powerful Skills Booster Combo Pack that has ALL the 3 modules - DEMO, TRAINING and ASSESSMENT, tied into a neat package that you can now download. So powerful, yet it is small enough to easily fit into your Flash drive. These Combo Packs come in other flavors and sizes as well. Click on the Blue button to go to the page that shows you how these Skills Booster Packs can benefit your career. The Assessment Module is Free with any Combo Pack you buy! In an earlier section, Jennifer, the Inventory Lead at Office Smart Solutions (OSS) had defined a subinventory called Stores in the inventory organization called Office Smart Naperville (OSN). Based on the scenario that Jennifer learnt from the Inventory track lead Travis Kirchoff in the section on customizing transactions, she created another subinventory called MRB. Since MRB is meant to store defective material also referred to as "Rejects" in Quality Control parlance, OSS management has decided to segregate material into specific locators. Why? 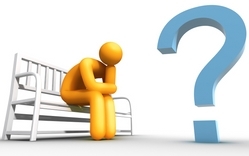 Because, some defective material need tighter control and closer monitoring than others. When defining the MRB subinventory, Jennifer sets the Locator Cobtrol field to Prespecified. She then creates the first locator in MRB subinventory as shown below. How does OSS want to name its stock locators? It depends on how their warehouse or storage areas are demarcated. It also depends on how they have defined the Value Sets for each of the three segments – Row, Rack and Bin. In this case Row, Rack and Bin can all have alphanumeric characters. This goes more into the domain of Flexfields, for which a separate section is required. 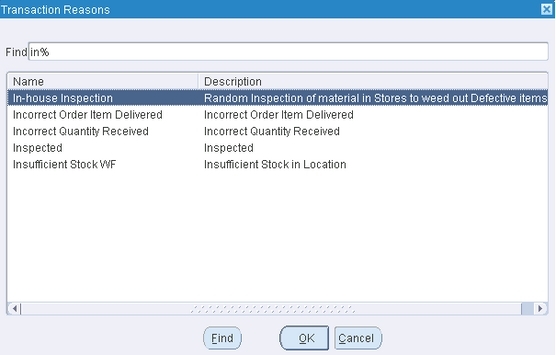 The item LH101, which was introduced in the section on collection elements in Quality, is currently stored in the Stores Subinventory of inventory organization Office Smart Naperville (OSN). Upon inspection it was found that 2 units of LH101 are defective and need to be moved to the MRB subinventory, pending further action. When performing the subinventory transfer, Jennifer needs to specify the transaction Type. Typically the Type would have been Subinventory Transfer. In the section A New Transaction Type for Travis, Jennifer had created a new Transaction Type called Inspection Rejects (MRB). Since, the current transaction belongs to the business case for which the new transaction type was created, Jennifer selects this transaction type from the list of predefine transaction types. Why do only three transaction types appear when Jennifer invokes the list of values? It is because only these three transaction types have the predefined Transaction Action of Subinventory transfer associated with them. 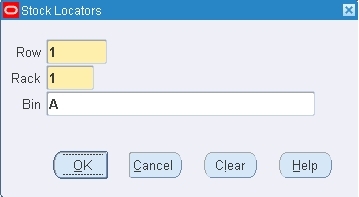 Jennifer then assigns the Source as MRB Material, the Transaction Source Type she had defined when creating the new transaction type. When conducting the transaction, she needs to assign the (from) Subinventory as Stores. The moment she does that, the screen displays the available on-hand balance. However, the moment Jennifer enters the destination subinventory as MRB, the To Locator field becomes mandatory. This is because when defining the MRB subinventory the Locator Cobtrol field was set to Prespecified. Jennifer enters the stock locator code she had created earlier. Finally, Jennifer enters a reason in the Reason field from a predefined list of values. Here she finds the reason she had created after creating the new transaction type. She selects the In-house Inspection reason name. Upon saving her work the transaction gets committed. When Jennifer verifies the on-hand balance she finds the MRB subinventory now has 2 units of LH101 in the specified locator. Similarly, the Stores subinventory gets decremented by 2 units of LH101. What if someone were to ask Jennifer the reason for conducting this transaction? Well, it was because Travis asked for it. Now, Travis gets asked the same question. He points in the direction of the Quality department who conducted the in-house inspection and found the two defective pieces. So, someone in the Quality department initiated this transaction. Where’s the documentary evidence seeking a material transfer? The answer to this lies in Move Orders.